Jerry Hinnen has packed up his Internet bags and moved to War Blog Eagle, www.warblogeagle.com. Auburn coverage is available there; mid-major basketball coverage will be at a second site yet to be determined. Thank you for visiting and/or reading the JCCW. Please enjoy the new site. Yes, I'm alive. And in perfect hibernation as of this afternoon, rocking the DSL from Frontier Communications, "one of the nation's largest rural local exchange carriers." So, a quick FYI: in anticipation of the coming re-purposing of the warblogeagle.com URL, this space will be momentarily reverting back to ye olde joecribbscarwash.blogspot.com URL. Warblogeagle.com should begin redirecting to the new site ... oh, sometime tonight or tomorrow morning. Content should begin appearing there tomorrow afternoon or first thing Wednesday morning, when (I am told) Jeremy will be taking the full site live. It's all very confusing, I know. But I'll make it easy for you: type in warblogeagle.com. You'll find me. Your patience is very much appreciated in this time of great personal and professional upheaval and anticipation. Or something. I don't know if I would say that, as the (full version of the) song above goes, that under my feet, baby, the grass is growing, not when I'm still enjoying living in Ann Arbor and writing under the banner above. One. Our time in Michigan is up, the Mrs. JCCW's and mine. We're moving. Over the past two days virtually all of our worldly possessions have been packed away and loaded into a large truck, and are now being driven across the country to meet us in a couple days' time. So I hope you can forgive the absence of regular posts this week, but there's been a lot of vacuuming and tub-scrubbing and such. But, to cut to the quick of it: you only get so many adventures. We wanted to take another. Two. To any of you worried about such a thing by the post title and those opening paragraphs: no, I'm not quitting. You'll be able to read the same the two or three posts a day from me this fall you got last fall, I'll still crank out the usual recaps (or something like them), there'll still be jokes at the expense of Tommy Trott's ability to block. They just won't be in this space, exactly. Jeremy Henderson, who I hope you know as the driving force of the War Eagle Reader, is currently driving forward a new Auburn website, the kind of project that's going to bring to the Auburn community something new, something important, something fun. And the JCCW is going to be part of it. Except that it won't be "the JCCW." It's going to be named ... wait for it ... War Blog Eagle. You'll be able to type in www.warblogeagle.com and you'll get the exact same things you've been getting for the last year-plus at that URL. It just won't be on Blogger. The only thing that's changing is the host, the look of the thing (no more white-on-black text, good news for those of you who hate it and have told me so in no uncertain terms), and the name. Oh, and that my mid-major ramblings will be moving somewhere else I haven't determined yet. Everything else: the same. So yes, beginning next week you'll have to say good-bye to the JCCW ... but saying hello to WBE will be like saying hello to an old friend anyway. (I hope.) Tentative launch is set for Monday or Tuesday, and if you think I'm not going to take my few precious remaining days before the La. Tech previewing the hell out of things .. well, you're wrong. I'll leave it at that. I have one more post left for this space, a kind of eulogy for the Joe Cribbs Car Wash banner I've written under for the past 3 1/2 years. It'll be done sometime early next week. See you then--here, and there. Auburn's first-team defensive front was Antonio Coleman, Jake Ricks, Mike Blanc and Nick Fairley. Antoine "Hot" Carter also subbed in. Attention Michael Goggans: if this is an accurate representation of the current starting front four, I'm afraid you've just been officially put on notice. A returning starter getting beaten out for his own job by a JUCO newcomer who's not even playing his natural position? Cut it, spin it, parse it however you want: it's a bad, bad sign. Rocker didn't seem happy with Goggans coming out of spring and it's a good guess he's not particularly enamored with him now. --The Toro is back! Sort of. Kind of. OK, so not he's not necessarily "back," but I think it's safe to say he would be if the opener was this week instead of next week. As tricky as hamstrings can be and as indispensable as Freeman already is, I don't blame the staff for being 100 percent absolutely sure Freeman's ready to go before they let him loose. 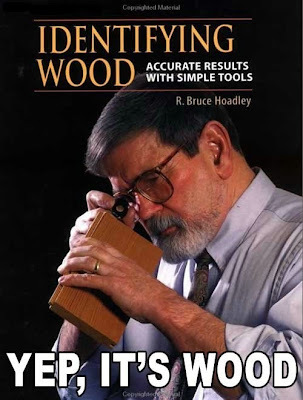 --Why is Freeman indispensable? Wade Christopher, starting redshirt sophomore walk-on linebacker, that's why. Just to recap: Evans is hurt, Pybus still isn't even in pads, Herring apparently practiced for the first time this fall just yesterday, and it looks Gaston is still just banged-up enough to not make up for the whole "I'm a freshman" thing. However quickly Freeman or anyone happens to return to full-speed, however, it's become clear that the linebacking depth chart is going to continue to be a major, major headache. Welcome to the two-deep, Mr. Christopher. Here's to hoping we enjoy your (extended) stay. --Can't say it's surprising to have Taylor and Chizik say two completely opposite things about the same issue--i.e. Billings's status, and whether it's Chizik or the University that has the final say on his eligibility--given that Taylor's happy to speak whatever happens to be crossing his mind even when reporters are present and that Chizik wants the media as in the dark and/or confused as possible at all times. But it is interesting, and I have to wonder if there's been any behind-the-scenes discussion about it. --Tommy Trott's description of Dr. Gustav's attention-to-detail was encouraging to read. We've all read "Such-and-such coach is a stickler to detail" a thousand times, but to have a player explain why his coach cares so much was intriguing and helps explain, I think, why Malzahn has had the kind of success he's had. --Maybe there's a new curfew, maybe there isn't. My question: how do you enforce a curfew for 100 players who live in 100 different places all over the city? Deos Chizik have access to the Chevron surveillance videos to see who's making a midnight Doritos run? OK, a post on what the hell I've been doing this week (and will be doing the rest of this week) momentarily. I think the misspelling is particularly apt here. He'll have to earn the "a," right? 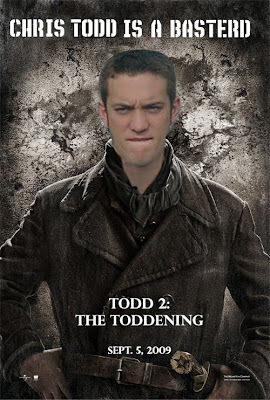 If you've got any other "Todd 2: the Toddening" 'shop submissions, send 'em on. --SHOCKER: DeAngelo Benton will start. This update sponsored by the Department of the Obvious. Darvin Adams and Terrell Zachery are the other two confirmed starters, as expected. I'm not going to look up how many catches our three leading receivers have combined for in their careers, because it'll just depress me. (Even if you toss in likely No. 4 wideout Emory Blake, that's not helping. --Readin' between the lines on Taylor's Billings- and Frenchy-related comments, the guess here is that we see Billings sooner rather than later but that PPL's got a long, long way back. Oh, and that Chizik is taking a harder-line stance than Taylor would, but that's not a surprise. --Eric Smith: what can you do but shake your head? We'll see him when we see him. --That's about it, right? Also recommended: Jay G. Tate's guesses at the Auburn depth chart. Though they're not for the faint of heart. Florida over Texas. Even if there's a possibility the Horns have the better offense, there's no way the gap between the two O's will be nearly as wide as the gap between the two D's, not with the talent Charlie Strong has at his disposal. Besides, shouldn't we keep betting on the SEC team in the national title game until they lose one? There's a huge gap between Nos 2 and 3. Everybody behind the top two will lose at least two games. I'm not really all that fired up about USC, not with the general "eh" factor of their offense ever since Bush and Leinart left, a schedule that has all four of their hardest games on the road, and a ton of defenders to replace. Wish I liked someone better. Alabama No. 4? I know, I know. I don't like it any more than you do. But with that defense, no way they lose more than two games ... and though I'll get into my SEC picks another time, I think they emerge from the scrum atop the West. Okie St. No. 5? Illinois No. 6? That makes even less sense than 'Bama No. 4. I figured Texas Tech was overrated at this time last year; I'm not making that mistake again and figure the Pokes will swipe one from the 'Horns or Sooners. The Illini are the biggest outlier on the ballot, but look at their schedule: they've got the roadie at Ohio St., but Penn St.'s the only other game in which the Illini won't be favored ... and the guess here is that between Juice, Benn, and their smart new OC from TCU, there's too much firepower for Penn St. to keep up with on the road. And so Illinois finishes the Big 10 slate with one loss, the tiebreaker, and a ticket to the Rose Bowl. Boise. I think they run the regular season table, rise a bit too high on the back of their win over an overrated Oregon team, and then look a bit inferior in their bowl game. Just like last year. This year's mid-major hotness is BYU: the Cougars have everyone back on D, the best schedule of the MWC contenders, and their usual array of offensive skill talent. Here's to guessing they beat FSU and wrap up the year with one loss. This year's Tulsa is Southern Miss, who return all nine starters along their two lines and a ton of talent at the skill positions. Larry Fedora should have the most explosive offense in all mid-majordom. Pac-10. With their entire defensive front returning I like Cal to make a clear-cut case for the second-best team in the league, but who's No. 3? Oregon has to revamp both lines and gets a brutal schedule. Oregon St. lost a ton. Arizona's not there yet. Steele loves UCLA but ... no. One of those teams will probably end up forcing their way into the bottom of the poll, but it's also possible they all end up canceling each other out. SEC. 2009 LSU seems so volatile I'm sure they'll either end up in the top 6 or 7 or at the very fringes of the poll; I ended up just sort of splitting the difference. Georgia's easily the second-best team in the East, but at Oklahoma St. is a hell of a way to kick off a season. And Arkansas is probably better than 22nd ... but they also share a division with 'Bama, LSU, and Ole Miss. Big 12. Pelini's too good not have Nebraska relevant again this year, but the bottom's fallen out at Missouri and I just don't think Kansas has the defensive horses. Leach will probably have Tech back in the top 25, but the schedule's still a little too tough for me to pull the trigger. Notre Dame. Eh, they'll go 8-4 and hover around the edges of the poll. No big deal. Big East. Cincy and Brian Kelly will be back to make this league its playtoy next season, but losing 10 starters on defense is a little too much for even Kelly to overcome at a program of this size. West Virginia and Pitt don't have the coaching and USF is the flakiest program in America, leaving Rutgers and their outstanding lines as the de facto winner. It's only enough for 23rd, but it's something. Real Life duties are calling; afternoon posting will be minimal, if at all. Sorry./ More on this later. That's ... that's not good. Auburn University tailback Eric Smith will surrender to Auburn police Monday in the wake of additional charges filed by the victim of an alleged, third-degree assault early Friday morning, the Opelika-Auburn News has learned. According to Alabama code, assault in the third degree is a Class A misdemeanor. The punishment for a Class A misdemeanor is not more than a $6,000 fine and one year in jail. "Not more than" means neither of those options are realistic on the table (I'm fairly sure), but "third-degree assault" is a hell of a lot more serious charge than "disorderly conduct." I said that if the charges didn't go beyond the original arrest report that Smith wouldn't/shouldn't miss more than the Tech game, but now that they have ... well, we'll see. I'm guessing, as I said before, that if Chizik had already made his mind up to give Smith the boot we'd know about it. But that's only a guess, and in any case, I don't think we'll be hearing from Smith again until that second-string tailback slot has long since been filled. It's a Saturday, so this is going to be brief. -- Eric Smith is apparently hanging by a thread, but the guess here is that if he was gone for good, Chizik would be straightforward enough to at least tell us that. (I think.) Which, you know, fine. Severe punishment (for what looks like a pretty severe lapse in judgment), sure. Make him earn his way back, sure. But a straight boot from the team for a (sober) disorderly conduct arrest ... not my team, I know, but I don't think I'd be alone in saying that would be more than a little on the draconian (and potentially morale-sapping?) side. -- The eternal clash of swords between reporter and coach, illustrated. -- The scrimmage today was apparently more about polishing up the rough edges than breaking any new ground. Which isn't surprising when the coaches are unanimous in declaring the depth chart "90 percent" filled out. -- That Ted Roof was in a better mood is a good sign, I guess. Given that he's having to play a nasty balancing act between hitting enough to have his guys ready for the season and not hitting so much as to shatter Auburn's already egg-fragile depth chart, I wouldn't expect him to be in a good mood under any circumstances. -- Todd 2 (the Toddening) allegedly led a successful two-minute drive. Signs of life, that's all we're asking for. -- Luper and Lolley look headed for the coaches' box. Not surprising in the cerebral Luper's case, but I would think an old hands-on high-school grinder like Lolley would want to be within screaming distance of his players. -- Anthony Gulley's name continues to pop up. He may redshirt, but it won't surprise me at all if he doesn't. When was the last time you heard anything--anything--about, say Derek Winter or Quindarius Carr? -- Not much at all to report from Friday's practice, apparently. (Other than Smith's absence, of course.) McNeil was back on the bike, at least. But D'Antoine Hood was back on the sidelines. See you Monday, most likely. So why "The Joe Cribbs Car Wash"?